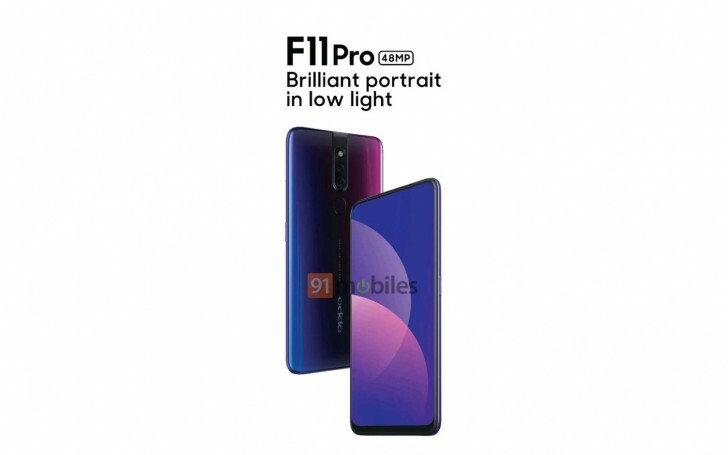 Oppo F11 Pro is arriving with a 48 MP snapper and elevating selfie shooter. We are yet to hear an official launch date from the maker but that is not stopping leaksters from revealing bits of the phone. 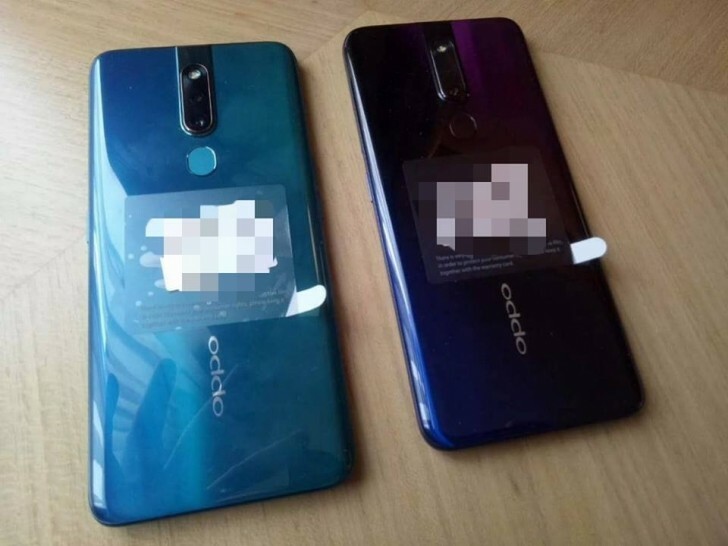 The latest leak is an image of the device in two colors, revealing at least two paint jobs that the Oppo F11 Pro. The left phone looks Powder Blue at first sight, but looking into detail, it is actually changing from Blue on the left to Green-ish on the right. The fingerprint scanner, however, remains a single color. This also means there will be no UD sensor. The right side of the phone is the one we’ve been seeing in renders - Dark Blue going into Dark Red, mixing it all in a neat Violet blend. Aside from the 48 MP camera, specs are scarce for the new Oppo smartphone. It will have a massive screen, likely with an LCD panel, and the latest ColorOS 6, based on Android Pie. Given the Oppo F9 came with VOOC fast charging, it is a safe bet the F11 Pro would also have it, but it would be great to see the 50W Super VOOC for a change. Even their flagship find X still running oreo, not sure will updated to pie or not.. Whattt!??? No inscreen fingerprint scanner!?? Even recently launched Oppo K1 in India has it!